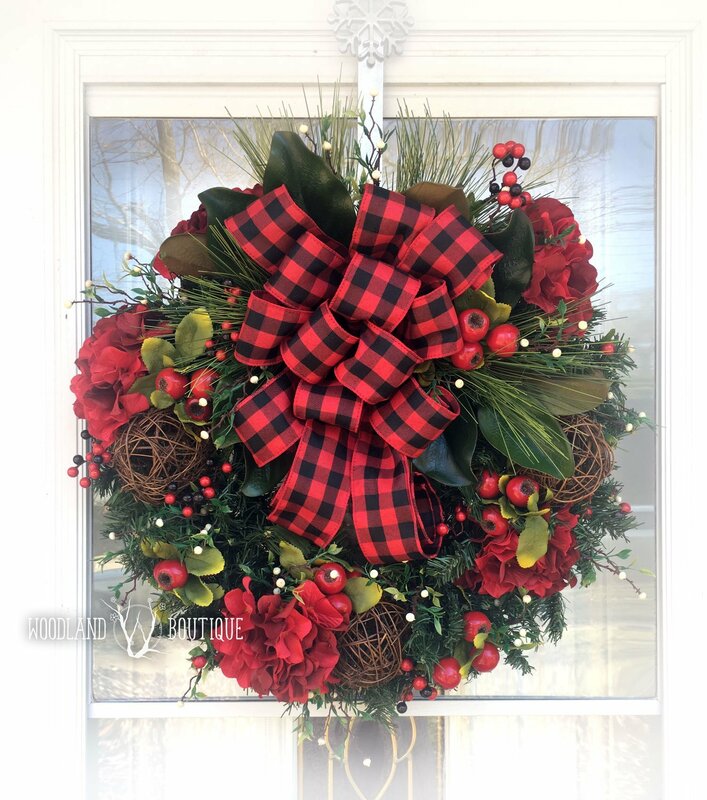 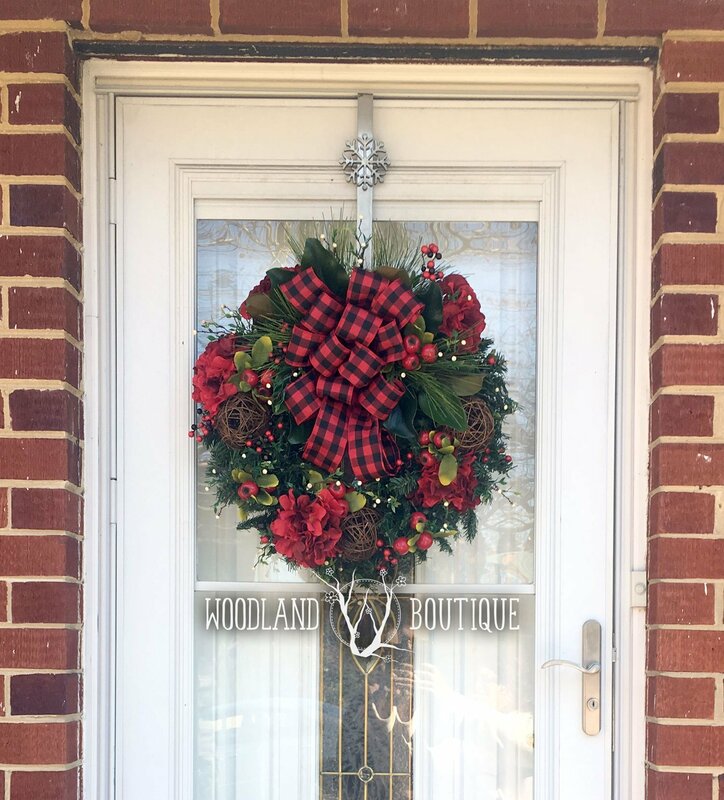 Buffalo Plaid & Hydrangea wreath is on a 20″ base, so it won’t overpower a narrow door, but still sits nicely on a 36″ wide door (see 2nd picture). Overall, wreath measures approximately 22″ in diameter and 6″ deep. 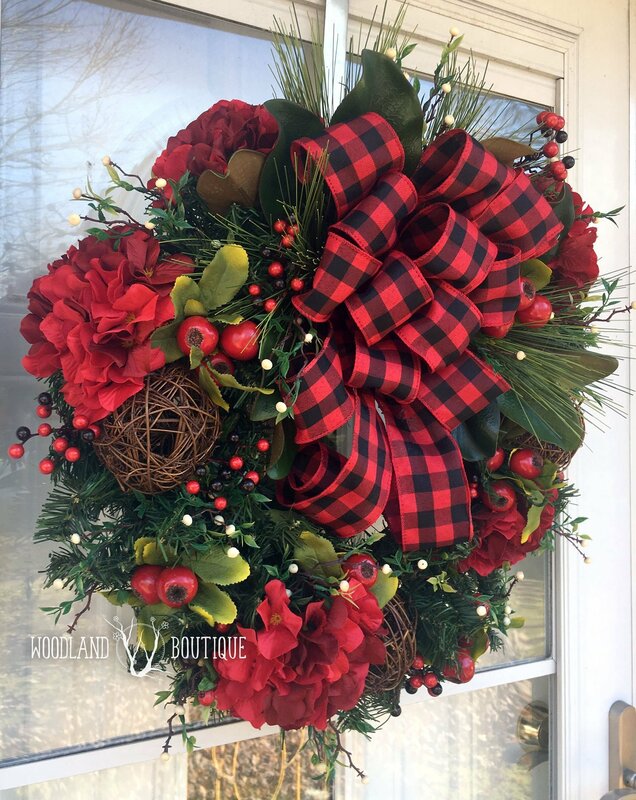 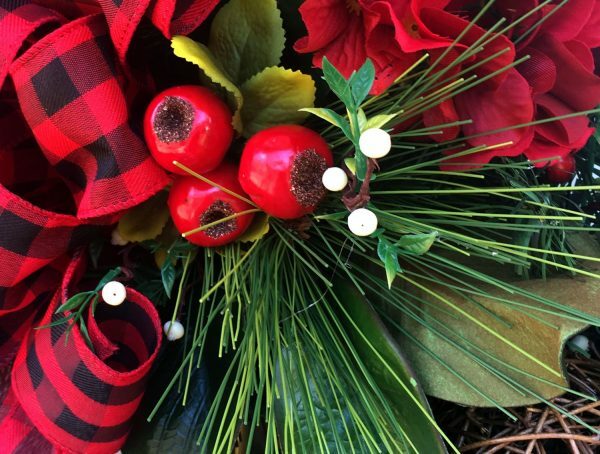 Everyone’s favorite buffalo plaid pairs beautifully here with scarlet red hydrangeas, grapevine orbs, and diverse sizes of berries in shades of red and white. Plus magnolia leaves and long-needle pine accents to frame the hand-tied bow out beautifully. 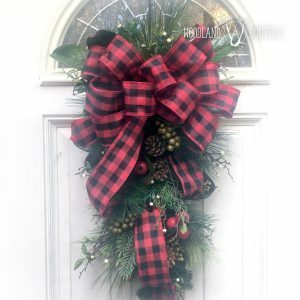 This wreath is on a 20″ base, so it won’t overpower a narrow door, but still sits nicely on a 36″ wide door (see 2nd photo). Overall, wreath measures approximately 22″ in diameter and 6″ deep. 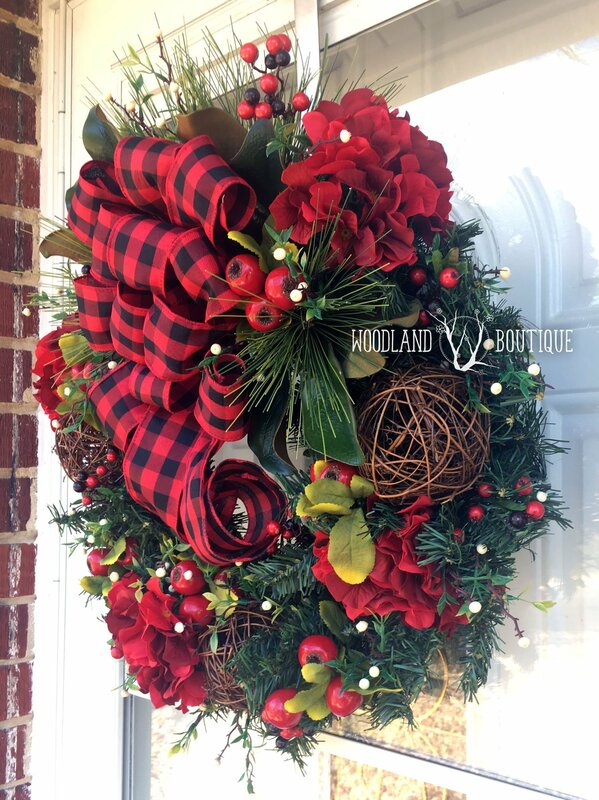 This is a made to order item, please allow up to 1 week for your wreath to be made and ready for pickup/delivery. 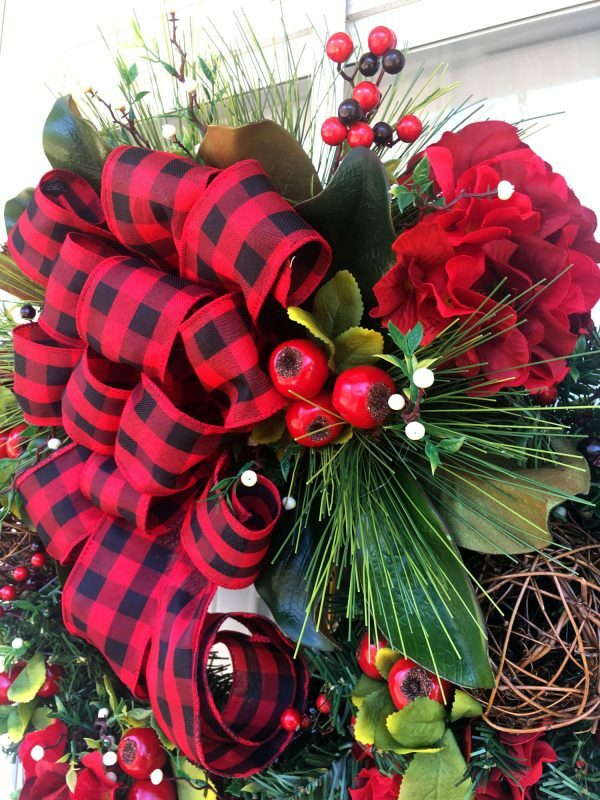 In some cases, floral or greenery may be substituted with a comparable item depending on currently-available inventory, and flower position may vary from what is shown.